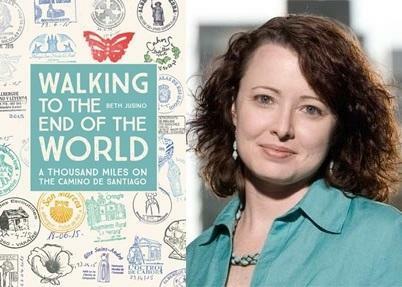 Beth Jusino, author of Walking to the End of the World: A Thousand Miles on the Camino De Santiago, joins us for a discussion about her new book and hiking the famed Camino de Santiago, The Way of St. James. This Q&A originally appeared in my free, monthly email newsletter called EuroExperto. Subscribe here! Beth Jusino: Ha! Not at all. No one who’s met me would mistake me for even a mediocre athlete. I’m a book person who prefers the comfort of my couch over…well, almost anything. But the Camino de Santiago isn’t about extreme sports. It’s about time. Walking a thousand miles only sounds like a crazy thing until I put it in context — it took us 79 days to get from Le Puy to Finisterre. Eric and I walked 12-15 miles a day, on average, along a generally well-marked trail that people like us have been walking for 900 years. Food and beds were available with only minimal effort on our part, along with a community of new friends from around the world and a place in a story that’s much bigger than us. That’s not so extreme. EE: How did you pick the Camino de Santago…or did the Camino pick you? And why do you keep going back? BJ: A few years ago, I knew I was burning out. I was working like crazy on my business and saying yes to every invitation and request, and Eric was in a similarly stretched place. 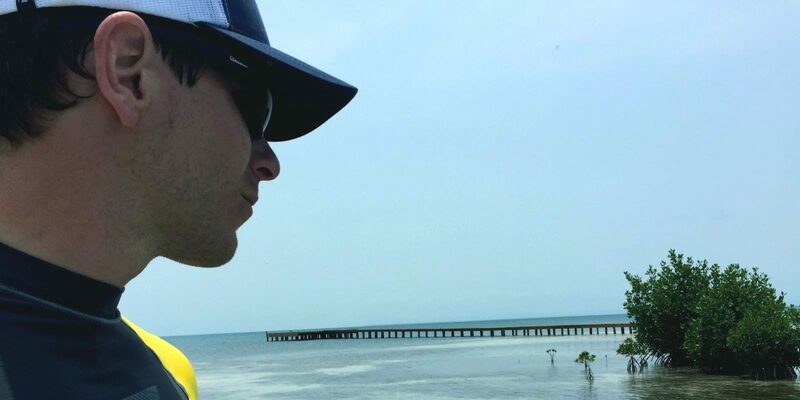 We were in our mid-thirties, too young for a mid-life crisis, but our lives had started to feel like they were controlled by our screens — I had 4 separate email boxes that kept filling faster than I could empty them, and my calendar was a rainbow of obligations. We were both busy every day of every week, but yet it never felt like we were doing anything worth remembering. Nothing felt real. The first time I heard about the Camino de Santiago, with its deep history and simple lifestyle, it felt real. I was hooked, but it still took a couple of years before we could put life on hold for a 3-month, unplugged sabbatical. That, by the way, is probably the most extreme thing about this whole story: it’s not that I walked a thousand miles. It’s that two mid-career Americans decided to put everything on hold for three months and lived without email and Facebook. I suppose that also answers why I keep going back. I’ve been to different parts of the French and Spanish Camino trails three times now, because I learned that going for a long walk, even if it’s just a week or two, helps me re-set my priorities. There’s something restorative about the pattern of Walk-Eat-Sleep-Repeat, and even more when it’s in such beautiful places. EE: What were some of your preconceived notions going into your first Camino? What do you know now that you wish you knew then? BJ: I think the scariest thing back in 2015 was that I didn’t know enough to even have preconceived notions. Thru-hiking across Europe was WAY outside my norm. I’d been to Europe only once before, and that was an organized college-group trip 20 years before. I had no experience with backpacking, sleeping in communal hostel rooms, or communicating in French. I suppose I had these vague ideas that we’d walk down country lanes while flocks of sheep swarmed around us, and that we’d spend afternoons in plazas, sipping wine. The former never happened, but the latter turned out to be pretty accurate. I wish I’d known at the beginning that it’s okay to slow down. When we started walking in France, everyone seemed to have these tight schedules where they had to walk 25 or 30 kilometers every day, and they had reservations made for where they’d stay every night, and it was all very structured. That’s not what we’d come to do. Eric and I showed up with no plan other than “walk until we get to the ocean” and plenty of time to do it. In hindsight, we could have walked 10-15 kilometers a day for that first week, instead of 20-30, and lingered longer in the beautiful French villages and valleys of Auvergne. But we felt like we needed to keep up with what “everyone else” was doing, and so we pushed ourselves physically and culturally faster than we should. By the time we got to Spain we’d learned a lot, and we slowed down. EE: What advice would you give travelers considering their first Camino? BJ: Don’t limit your idea of what “the Camino de Santiago” is. A lot of people, especially Americans, think that the “whole” Camino is just the 500-mile stretch from St. Jean-Pied-de-Port, on the French border, to Santiago de Compostela. That’s actually a specific section of trail called the Camino Francés. It’s the most popular route, and tens of thousands of people walk it every year. But there are also four UNESCO-recognized trails that stretch back across France, and a bunch of routes criss-crossing Spain. If you’re interested in a long walk through history, you can find a walking route that fits your available time, fitness, and cultural goals. EE: Tell us about your book, how did you come up with the idea? Who’s it meant for? Is it travel lit, a guidebook, both? BJ: Well, my “day job” is in book publishing, so as soon as I started planning this trip, people asked if I was going to write about it. I always said no, because I didn’t want to put that filter on the experience while I was there. I was doing this to get away from work. But I kept a pretty detailed journal while we were there anyway, because when you’re in new places every day, it’s easy to lose track of what happens. After we got back, I I found myself telling some of the same anecdotes from the trip over and over, and I remember thinking, “These are pretty good. Strangers would like these.” And at the same time, people kept being intimidated by what we’d done. “I could never do that,” someone told me. “I’m not into extreme sports.” And as soon as they said it, I discovered this deep desire to encourage other people who think they’re not fit/young/rich/daring/experienced/fluent/whatever enough to just try it. I was never interested in writing one of those travel memoirs that’s really about the writer’s inner struggles with her mother or addiction or marriage, set with some nice scenery in the background. My real life’s actually pretty good and boring. So I wrote a book that I call a travel guide masquerading as a memoir. It’s not about me. It’s about walking the Camino — what the trails are like, and how to find a bed for the night, and where the bathrooms are. EE: When you’re not hiking in some gorgeous part of France or Spain, where are you and what are you doing? BJ: Well, not to brag, but I’m pretty sure I’ve got the best job and live in the best part of the country. Eric and I live in Seattle, tucked way up in the northwest corner of the US between the Olympic and the Cascade Mountains, and with the Puget Sound practically right outside our door. As for what I’m doing? I’m a writer, editor, and publishing consultant, which means that I help people get their ideas onto the page, and then into readers’ hands. 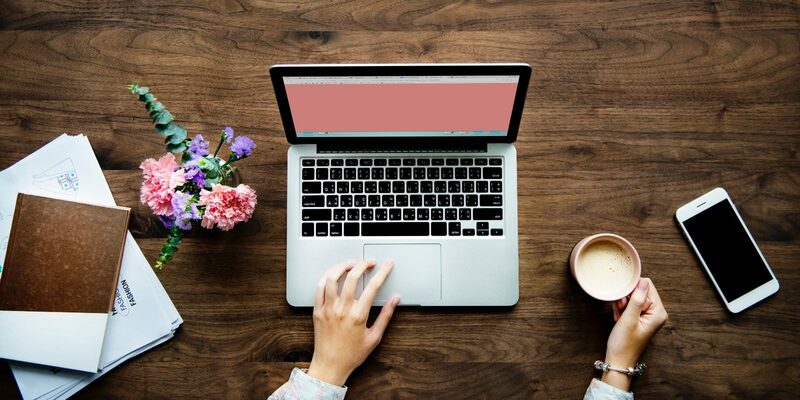 On any given week I might be ghostwriting a memoir, reviewing the first draft of a mystery novel, project managing a business leader’s independent publishing project, or writing a book proposal to match a client with a publisher. EE: Tell us about your last trip to Europe. Let me guess, you hiked on the Camino de Santiago, amirite? BJ: Well, yes. We went back to Spain in May 2018 for a three-week walk along the Camino del Norte, which follows the northern coast of Spain through Basque Country and Cantabria. It was a more remote and rugged trail than what we’d done before, but the views were incredible…as was the chance to dip our toes in the ocean on an almost-daily basis and to explore Spanish sidra, the local cider. 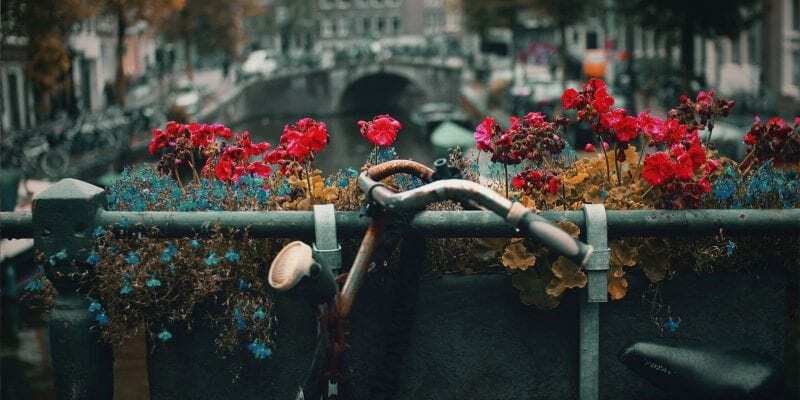 EE: What’s your next trip to Europe look like? BJ: Technically, I should say that I’m going back to finish the Camino del Norte. I’ve only seen half of that so far. But truth be told, I’m also watching closely as The British Pilgrimage Trust in the UK goes about re-establishing “The Old Way” to Canterbury. They’ve discovered a map with what appears to be the original route that pilgrims took from Southampton to Canterbury, and they’re working with villages and churches along the way to establish lodging options for long-distance walkers. How cool would it be to walk that in 2020, the inaugural year? I don’t think I had a bad meal in France, and I was there for 35 days. But if it’s one specific meal, I remember the pilgrim’s dinner at a bar called El Fuero in the tiny town of Castrojeriz on the Spanish Meseta. Most things called a “pilgrim’s meal” were pretty basic — lots of bland chicken and French fries. But in this little place in the middle of nowhere, I was given a three-course meal of fresh pasta carbonara, and a whole trout pan fried to perfection, and homemade cake, and a bottle of local wine. All for 10 euro. It was this fantastic reminder that every day is full of surprises. I’m a red wine kind of girl, and there’s a very dark Malbec that comes from the Cahors area of France, which is one of the places we passed through. It’s actually the place where the Malbec variety originated. Eric, of course. I know this isn’t the case in all marriages, but we travel really well together. We balance each other and respect what the other person brings: I’m the planner, the organizer, and the list maker. I make sure we have train tickets and know how to get back to the airport on time. He’s the “front person” once we arrive, making friends with everyone he meets. His language skills are amazing — people assumed he was fluent in French within a week of our arrival, while I was still trying to remember “I’m sorry, I don’t speak French.” Plus, he’s just fun to be around. When my editor at Mountaineers Books first read my manuscript, she told me, “You know that a lot of women are going to read this and fall a little in love with your husband.” He has that effect on people. Subscribe to EuroExperto for free, monthly European travel advice. And why not stay tuned to the blog for more author Q&As?